Rallies across Spain have been held to mark the official opening of the country’s general election campaign. Voters will go to the polls in a little over two weeks time to elect a new government. 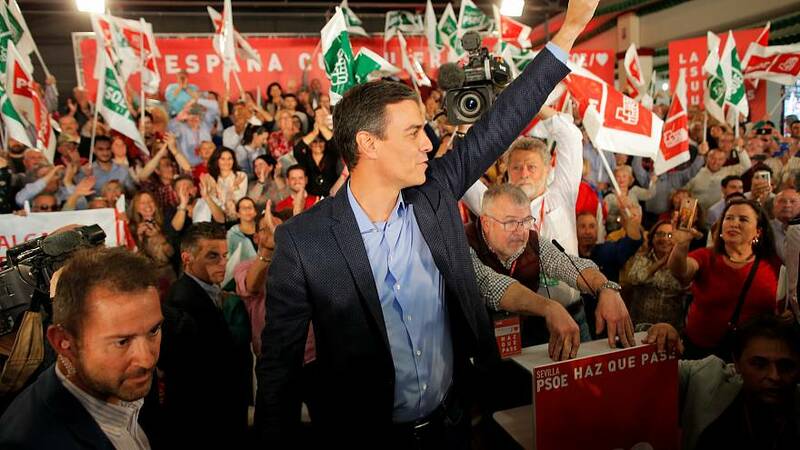 Prime Minister Pedro Sanchez’s Socialist Party starts the campaign as favourite. But with anti-establishment parties preparing to disrupt the political mainstream, the outcome is far from certain. Sanchez kicked off his election campaign on the offensive. Under a banner reading ‘The Spain you want’ he painted a dark picture of what a return of the right might mean. "What’s obvious” he told supporters in Dos Hermanas, ”is that if the three right-wing parties come back on April 28, territorial confrontation is guaranteed. Corruption will come back to institutions in the hands of a political party that isn’t clean, cuts will come back and living standards will go backwards." Pablo Casado leads the opposition People’s Party. At his campaign launch in Madrid, he told supporters it was urgent to end what he called the “nightmare” of socialist rule. "The only party that can beat Pedro Sanchez is the People's Party,” he said. “And together, the centre-right parties who defend the constitution already have more votes than the block of the separatists, the communists and the socialists. If we have fewer seats its because our vote has been dispersed. " But with an absolute majority for any party looking unlikely, the performance of outsiders such as the left wing Podemos will be critical to the outcome. Pablo Iglesias’s group is forecast to take around 30 seats. The big unknown quantity is far right newcomer Vox, who won seats in regional elections in Andalucia last December, but remain untested on the national political scene. Euronews journalist Carlos Marlasca told Good Morning Europe that the tightness of the race would mean that it would be a “tough” campaign. “We are going to hear strong words and strong accusations,” he said.